To better enhance the overall corporate management level, meet the requirements of corporate strategy, improve employee competence and create a total staff learningatmosphere, regular internal trainings were organized by the Personnel Department. A senior experienced employee was designated as a lecturer for each training session. Featuring professional knowledge and experience, these trainings helped meet the training demands of each department. 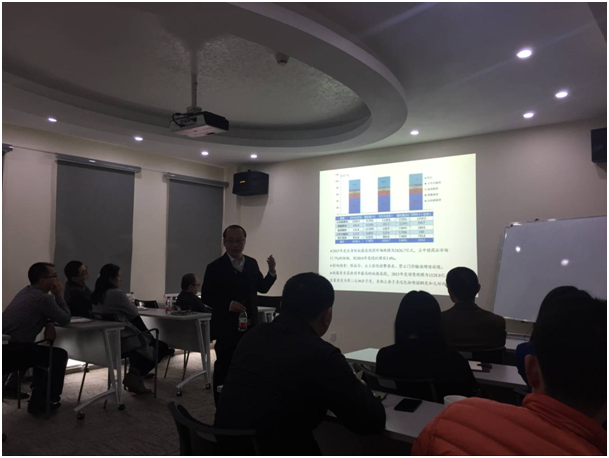 On February 28, 2017, Dr. Zhang Tian from Project Review Department unfolded the training titled “Status Quo of Biotech Industry”. Attendees from each department listened to his lecture attentively, took notes and put forward business related questions. These trainings are expected to broaden the horizon of employees and lay a foundation for better work performance in the future; allow the employees to understand the necessity of continuous ability improvement; and enable them to apply what they learn to practice, excel in their work, establish good relationships with coworkers, and create harmonious interpersonal relations and an inspiring working environment.